The OnePlus X is a surprisingly good device for $250, but it’s missing some essential features. As a company, OnePlus is a bit frustrating to follow. It’s manage to produce two outstanding Android phones in the last two years, but it’s still a gamble trying to buy one. The launch of the OnePlus X does nothing to change the company’s atrocious invite-only business model, though it is a pretty good deal at $250. The phone features similar hardware to what you would find in last year's top-tier phones, a 1080p AMOLED display, and dual SIM slots in a sleek little package. But it’s ultimately not worth sitting around on a waiting list to buy one. When phones are small and pretty, they’re comfortable. 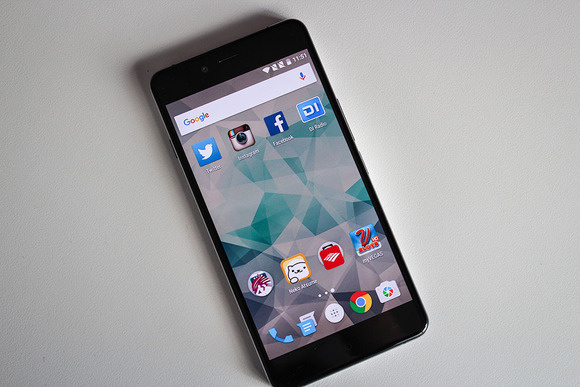 The OnePlus X is a snazzy little smartphone. It’s comfortable to use for prolonged periods of time and its boxy frame will probably remind you of the LG Optimus G or Apple’s iPhone 4S. I appreciate the minimalist design, though I’m bummed it’s only available in black. All that glass also means the X is one slippery smartphone and you’ll have to constantly clean it to wipe off your fingerprints. 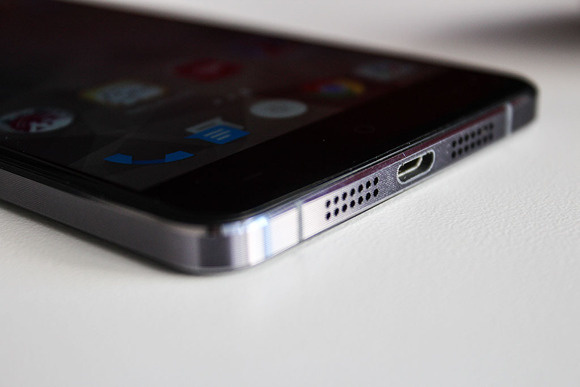 The OnePlus X does not have USB Type-C port like its flagship counterpart. It does have the same three-position switch, however, that you can use to change between sound profiles. 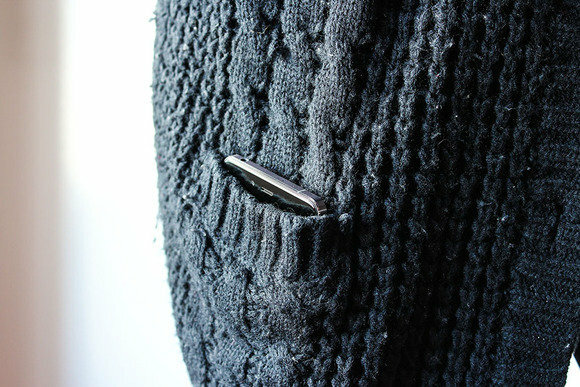 It fits in my sweater pocket! 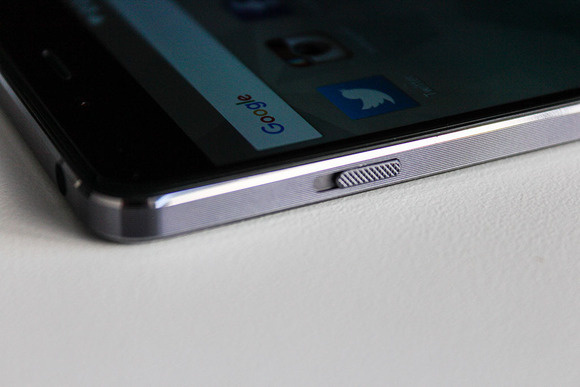 That shiny back is such a fingerprint magnet. The X is small enough to fit into almost any purse or pants pocket. Despite its smaller screen size, I did not feel constrained while typing out long emails and reading Tweets. I actually miss the days when smartphones were this compact. The display’s blacks are black enough that you can’t tell the display doesn’t fade into the chassis. I like the 5-inch 1080p AMOLED display on the OnePlus X. The colors are rich and its viewing angles are excellent. You won’t get the same over-saturated color profiles as a Samsung AMOLED, but the blacks are black enough that the bezel almost appears with a black wallpaper as your background. I have been pretty hard on OnePlus for dropping an older processor into the X, but it makes sense: the Snapdragon 801 is cheaper now that it’s over a year old, and there are still plenty of people using last year’s HTC and Samsung devices with the same hardware, anyway. The OnePlus X is also equipped with 3GB of RAM, which helps out a bit. 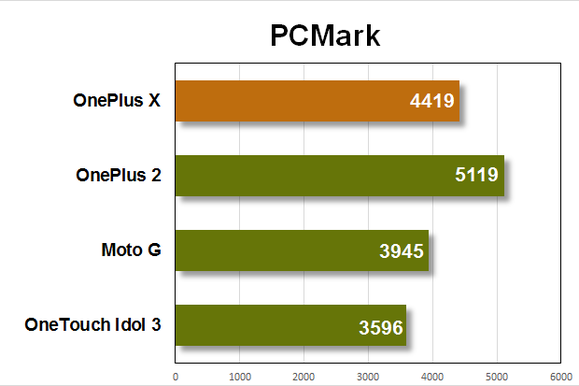 The OnePlus X performs much better at everyday tasks than its mid-range competition. 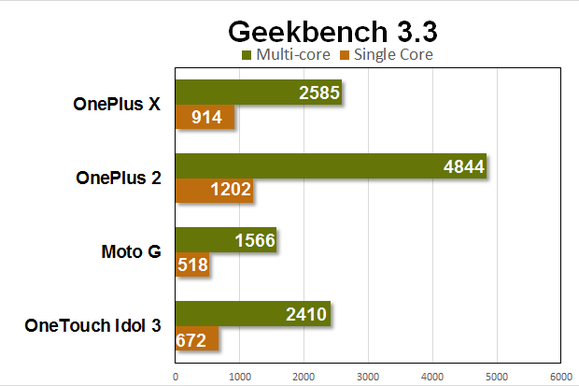 The OnePlus X’s multicore performance is as good as last year’s flagships. 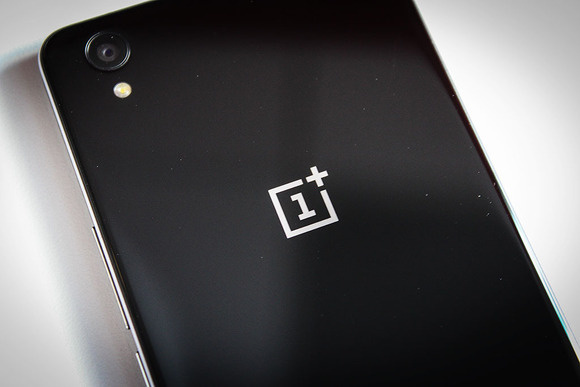 But this year’s processors are heavier hitters, as per the OnePlus 2’s benchmarks. Qualcomm’s Snapdragon 801 performed as I expected. Applications launched quickly and ran smoothly, just as they did on last year’s flagships. Games like My Vegas Slots (Yep—I’m still playing that) don’t make the device run too hot, either. I did experience some interface freezing in between applications, however, usually when I’d launch something and then immediately force-close it. It would take a second for the OnePlus X to come back down to zero. Not bad for a little phone. The OnePlus X also offers suitable battery life. On standby, the phone’s 2535 mAh battery pack lasted about two full days before it needed to be plugged in. In our PCMark battery test, it managed six hours and 5 minutes. 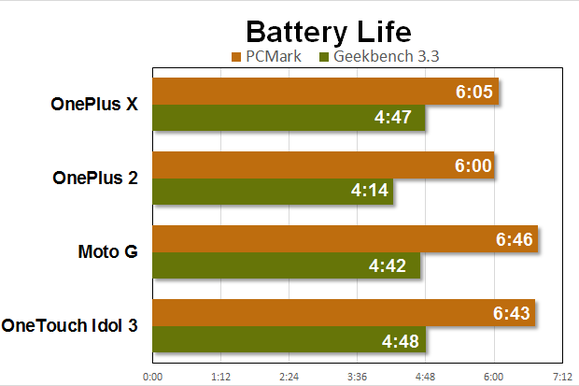 In our Geekbench battery test, it lasted four hours and 47 minutes. The one caveat is that when you’re ready to charge it up, you’ll have to wait a while because the device does not support fast charging. 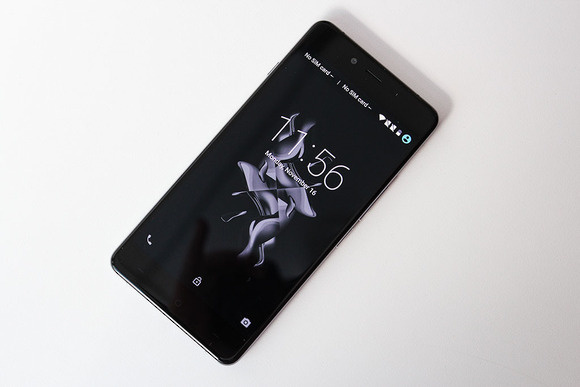 The OnePlus X sports a 13-megapixel rear-facing camera with f/2.2 lens, as well as an 8-megapixel front-facing one. OnePlus promised a device with the “fastest camera yet,” but I experienced otherwise. The X’s camera has a propensity of being really sluggish at times, which often resulted in blurry photos. The OnePlus X’s pictures are either really good or a bit too blurry to share with others. While balance seemed to never be quite right. There were a few times that photos taken in bright sunlight would come out overexposed. And while the X did pretty well in low light, the HDR is slow. Despite having a similar 13-megapixel sensor, the OnePlus X results in different white balance than the OnePlus 2. In low light, the OnePlus X is merely okay—way better than what you get with the similarly-priced Moto G.
Photos do come out nice if you can keep the device still when you’re shooting. I wouldn’t mind taking this phone with me on a trip overseas, though I’d probably edit everything and then slap a filter on it. It’s reliable enough for shooting snapshots throughout your day and posting them to Facebook, but not for it to be your only camera. Video was also decent. The OnePlus X shoots in 1080p by default, but struggled to keep its focal point as I moved the device. Darker shoots are also a bit too grainy for my liking and there’s a slow-motion mode that only records at 120 frames-per-second at 720p. OnePlus’s Oxygen OS is just as familiar as regular Android. 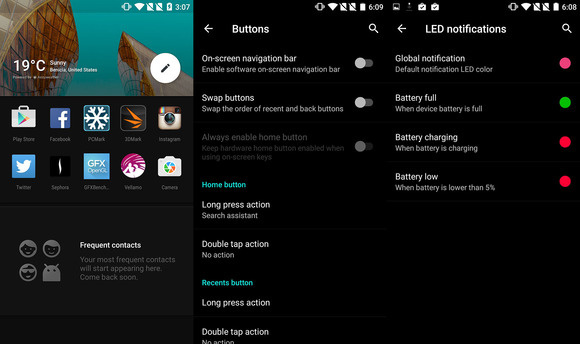 Oxygen OS offers a slew of customization options (right and middle screenshots), as well as a “Shelf,” which lives to the left side of the Home screen. 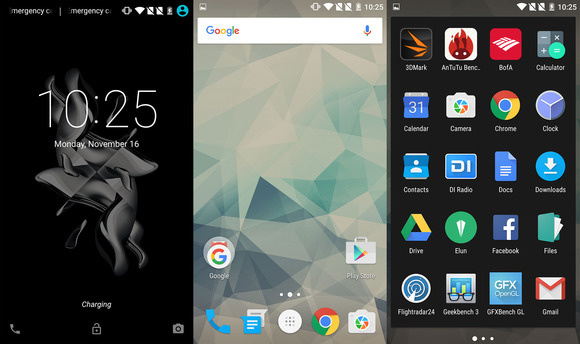 Oxygen OS does offer a few goodies Google’s stock Android does not. For example, you can choose to rearrange the quick menu items or enable gestures that work while the screen is off. There’s also the Shelf, which lives to the left side of the Home screen. It displays your most frequently used apps and accessed contacts, and offers a space for widgets. I didn’t use it because I have “my way” that I’ve been organizing icons on Home screens for years, and it’s like muscle memory for my fingers. If you’re like me, you probably won’t use the Shelf either. And while you can disable it, you unfortunately cannot replace it with Google Now. It’s like a budget car: it looks great on the outside, but it’s still missing some key features on the inside. I’m really into the design aesthetic of the OnePlus X. It’s a fancy looking phone for half the price of some other, similarly-styled devices. The X fits in well as a simple smartphone you can take around the world, but for $250 I was hoping for just a tiny bit more flair—at the very least an NFC chip. There’s one other thing: the OnePlus X might sound like a really good deal, but it’s limited to certain LTE bands and it doesn’t work on all carriers. The OnePlus X lacks support for Bands 12 and 17, which means a sub-par experience on T-Mobile and AT&T. It also won’t work on Verizon Wireless or Sprint’s networks. And, of course, there’s the whole issue of actually buying it. 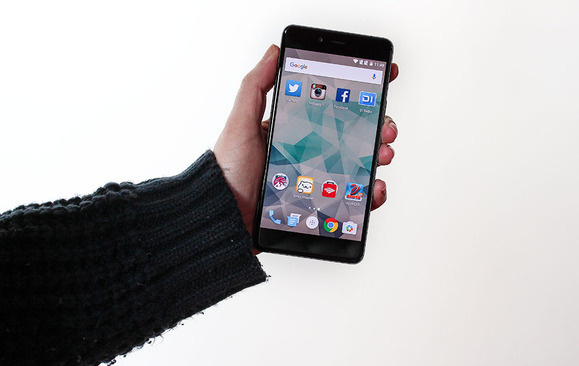 If you can manage to get an invite and it’s compatible with your network, the OnePlus X is a solid choice for those merely interested in an affordable, stylish phone that provides the basics. It does all those things pretty well.